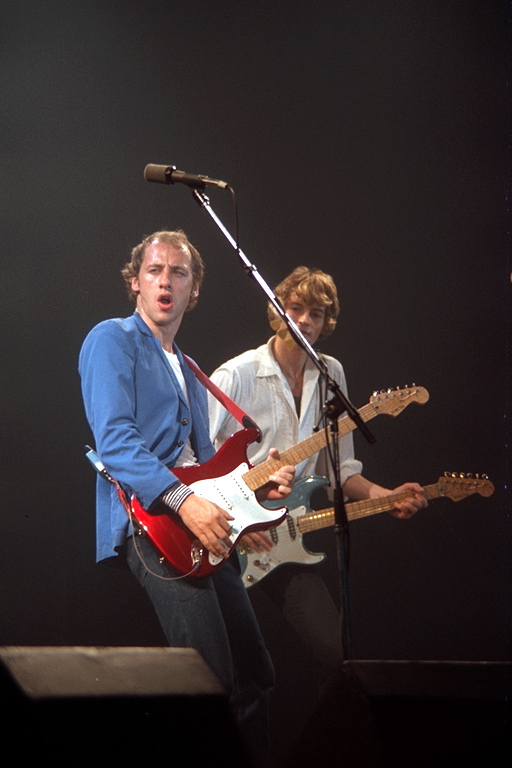 Info: This was the guitar that replaced Mark’s two red Fender Strats as his main axe in 1980. 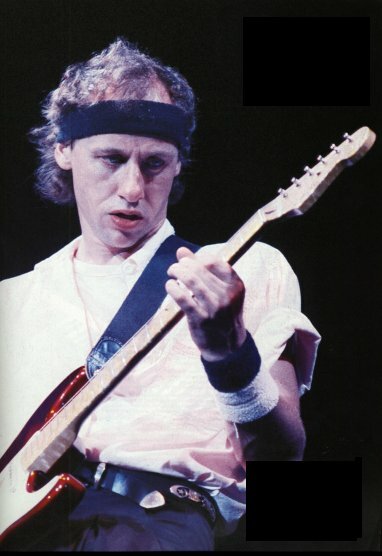 He bought it together with some more Schecters (another red one, a blue and a sunburst Strat, and a black Telecaster) at Rudy Music Stop in New York. Schecter had been a manufacturer of quality parts to upgrade mainly Fender guitars but had recently started to offer completely assembled guitars which were called Dream Machines. Most of the hardware was made of brass instead of steel, and the woods were normally exotic or high-quality woods. The body of this guitar is mahogany, the base wood for a Gibson Les Paul body, and the neck is a high-grade figured birds-eye maple neck. Due to the brass hardware and the choice of woods, this guitar might be relatively heavy. 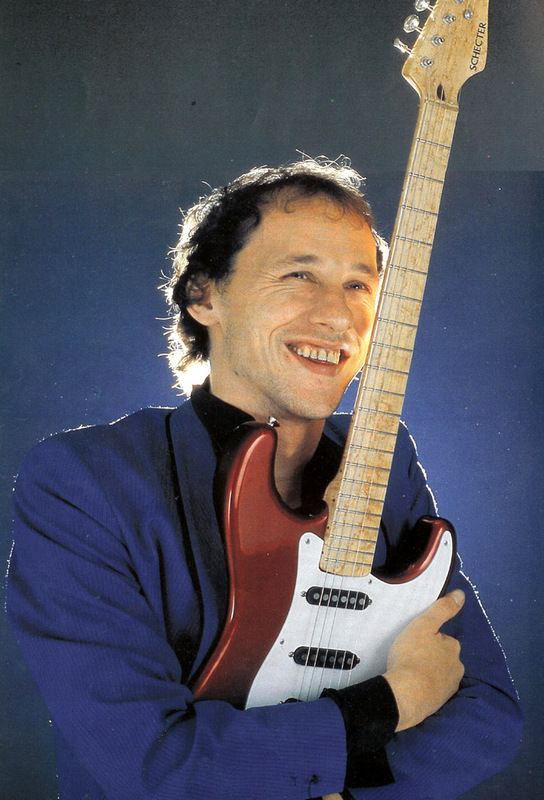 Tom Anderson, who worked for Schecter at that period, remembered that it sounded very dark so that they were afraid Mark would not like it. 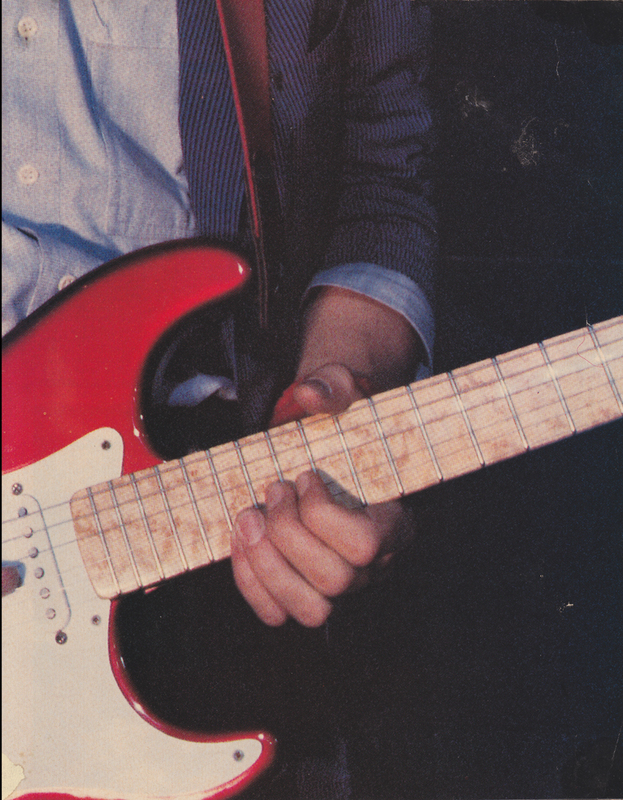 The reason why Mark changed from Fender to Schecter was mainly because he was looking for a reliable guitar that was easier to play than his Fenders, and his then-girlfriend had a Schecter which impressed him very much. Schecter Dream Machines were equipped with Schecter F500T pickups and had three mini toggle switches. 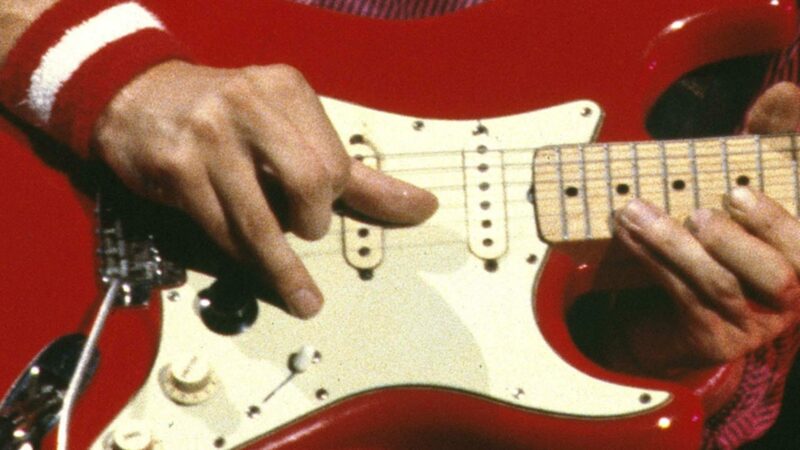 As each pickup had two sounds due to a tapped coil, the switches enabled 26 different sound combinations. 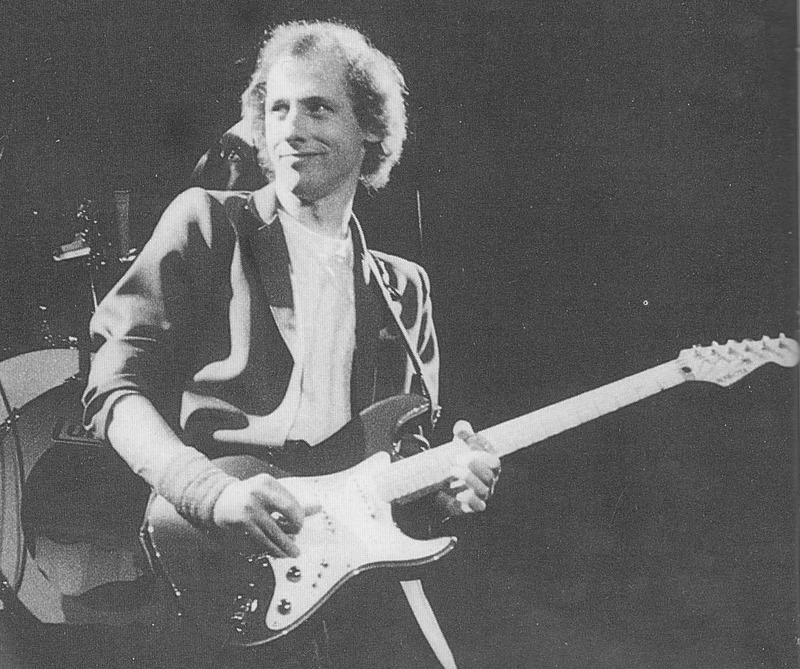 He recorded Making Movies and started the On Location tour with these pickups, but after the Christmas break he put Seymour Duncans into this guitar. 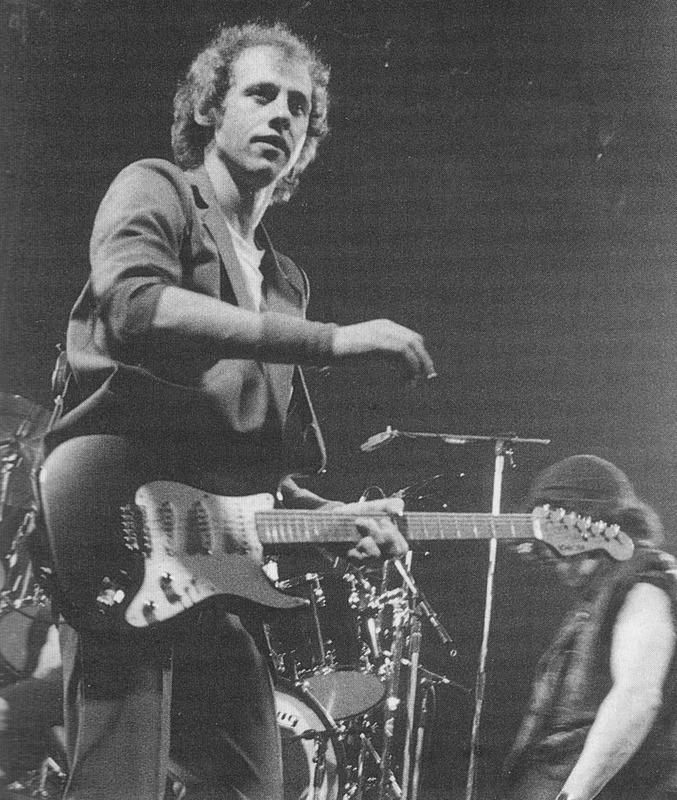 At the time of the Brothers in Arms tour (1985/86) he had Seymour Duncans APS-1 in the guitar, it is not sure if these were the same Seymour Duncans he had in 1981 or not (I think the APS-1 were released later and Seymour Duncan had only SSL 1-6 in the early 80ies, out of these Knopfler’s pickups should be SSL-1). 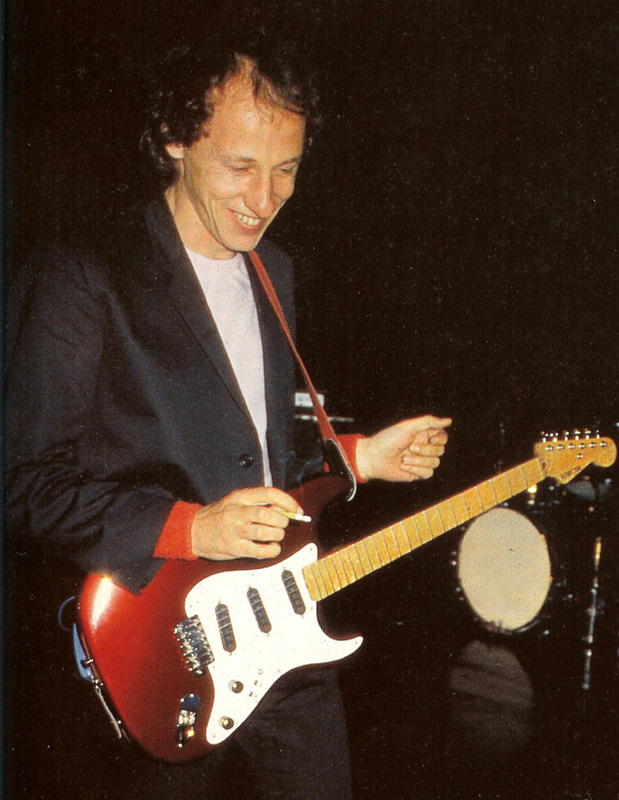 After he got his first Pensa Suhrs in 1987/88, he used the red Schecter only for some songs, e.g. One Every Street or for the encore Wild Theme / Local Hero. Did you take some nice pictures of this guitar, e.g. during a MK concert? You can upload your own pictures here (no registration required). After moderator approval it will be displayed here. Thanks for that interview translation. 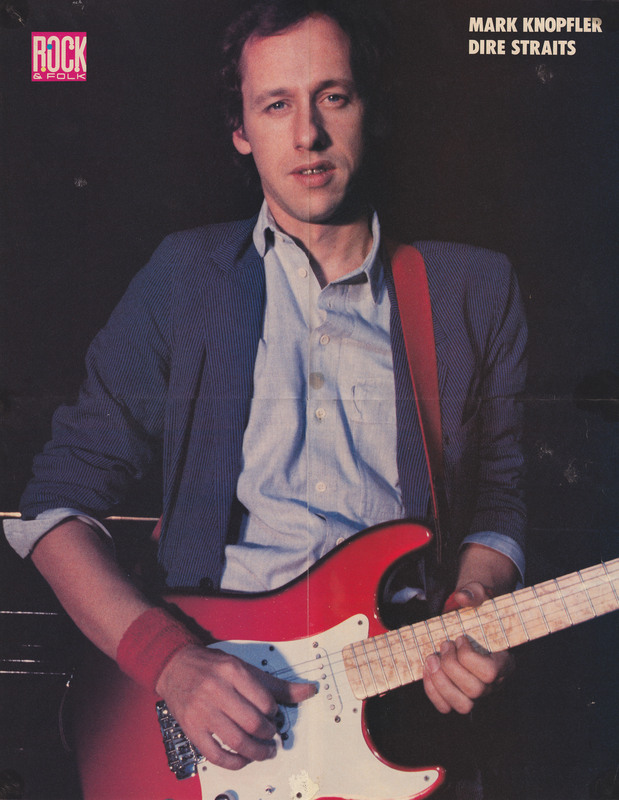 I have a German interview (from a German version of Internation Musicia, if I remember correctly November 1979) in which he says that his girlfriend – should be Holly Vincent – has a Schecter which is better than his guitar at that time, the red Fenders), and in an interview from early 1980 of the same magazine, he says the same as in yours, that the Schecters are much easier to play and do not cut the skin of his fingers as the Fenders did, interestingly he also said that the Fender sounds better, that he should play it again to get back the sound, but there was the problem with playability. just a little thing : I saw your comment by chance, because it doesn’t appears on the left column, under recents comments, maybe because sof the special “status” of these database pages ? You are right, thanks for the hint 🙂 The old list only showed comments from blog posts, I areplaced it with a new one that includes pages as well. It looks a bit different now for this reason. Last seen : Get Luky Tour, played by Richard Bennett on one song(I can’t remember exactly which song). It was played by Richard Bennett on “The fish and the bird” on 2008 Kill to Get Crimson Tour. There is a video on YouTube: http://www.youtube.com/watch?v=W7CYWd9uMzI&feature=related (from minute 3:40). Eduard, thank you for your input. I added the info in the table under “last seen”. 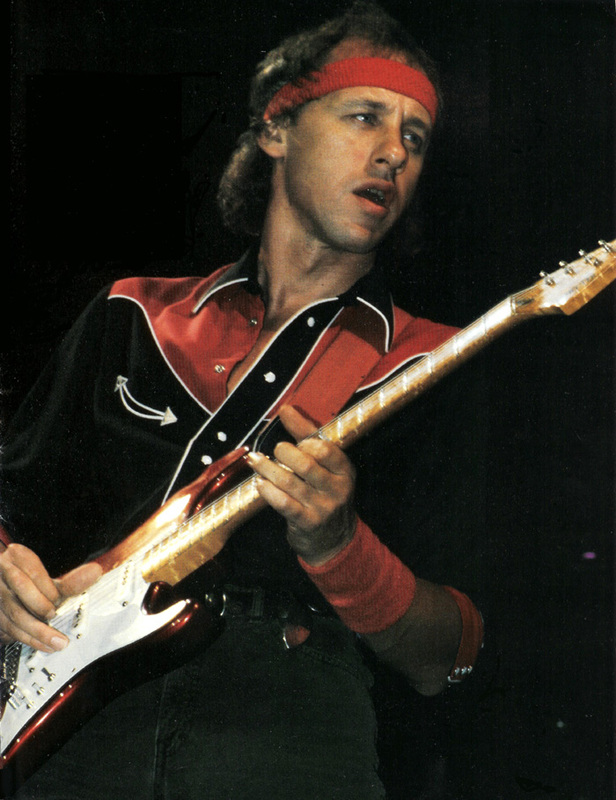 Do you know what straps he used for the metallic red Schecter Dream Machine on the OES tour? And have you noticed that the nut on the S8218 is changed from brass to maybe bone or some other white material. By 1985 the neck finish had worn off on some parts so maybe the finish was redone and the nut was replaced. Or maybe the whole neck was swapped with “extra” Red Dream Machines? 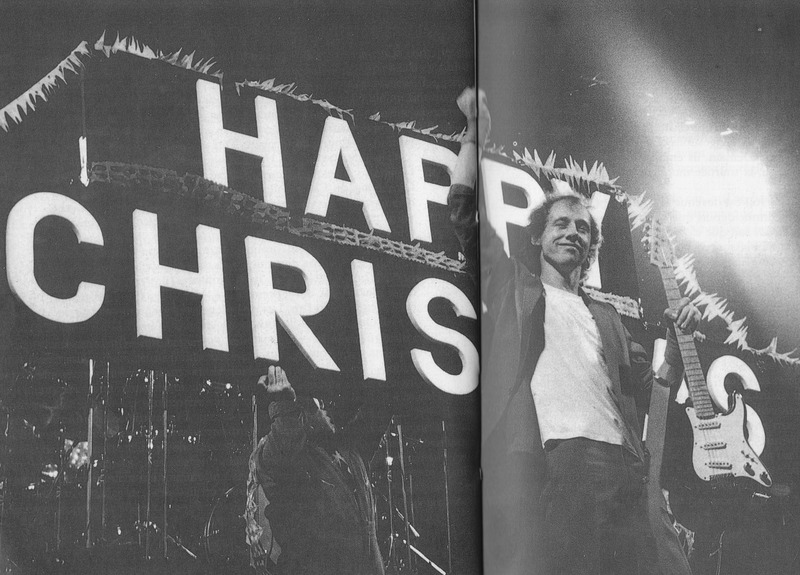 You can clearly see the wear on Live Aid and in the MK Guitar styles book it looks like new again. Maybe something for you guys who want to make your own replica and either uses the Alchemy PU’s or the OES PU’s. Thanks Ingo for your hard work and dedication! 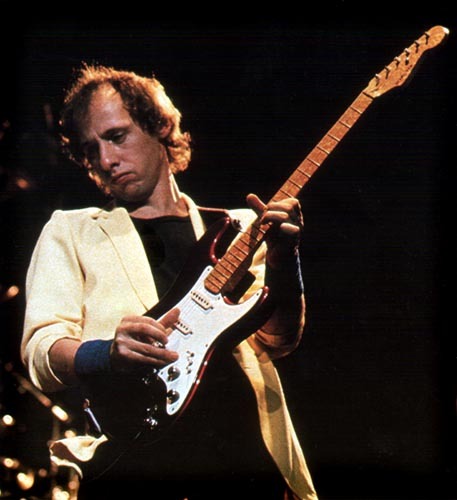 Does anyone know if he fixed the trems on his Strat type guitars? Seeing as he hardly ever used the trems and does a lot of bending you would suspect so, but maybe he didn’t as it does affect tone?? 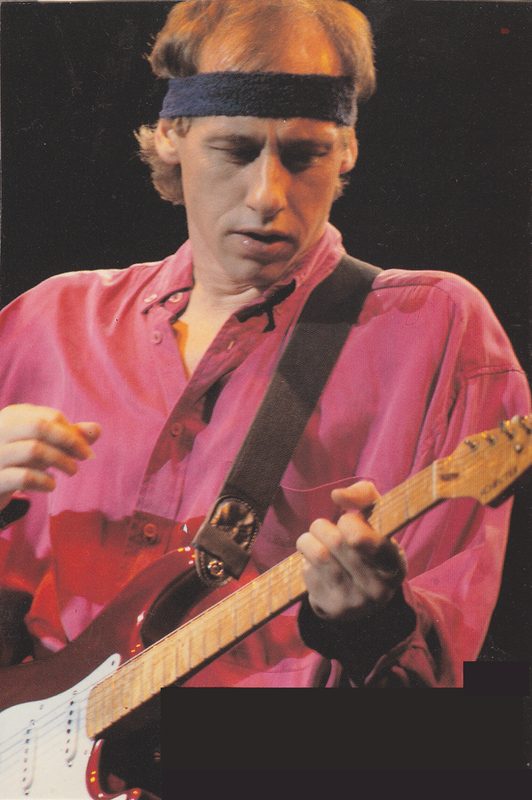 Knopfler playing Golden Heart Live with what appears to be the Red Schecter with a standard strat scratch plate. Is it the Red Schecter? Color is Candy Apple Red, but it has a silver undercoat like earlier Fender CAR finish, later ones has a gold undercoat. Color is Candy Apple Red but with a silver undercoat instead of gold. How do you know that the undercoat is silver?? I have heard this from Pat Wilkins who sprayed the necks and bodies. The silver undercoat makes the red brighter looking. CAR is a 2 step color a metallic undercoat and clear red, Mark’s has a silver undercoat, more regular ones gold. Where does the truss rod adjust on this guitar? Heel or headstock? Does anyone have some more info about the Red Dream Machine specs? 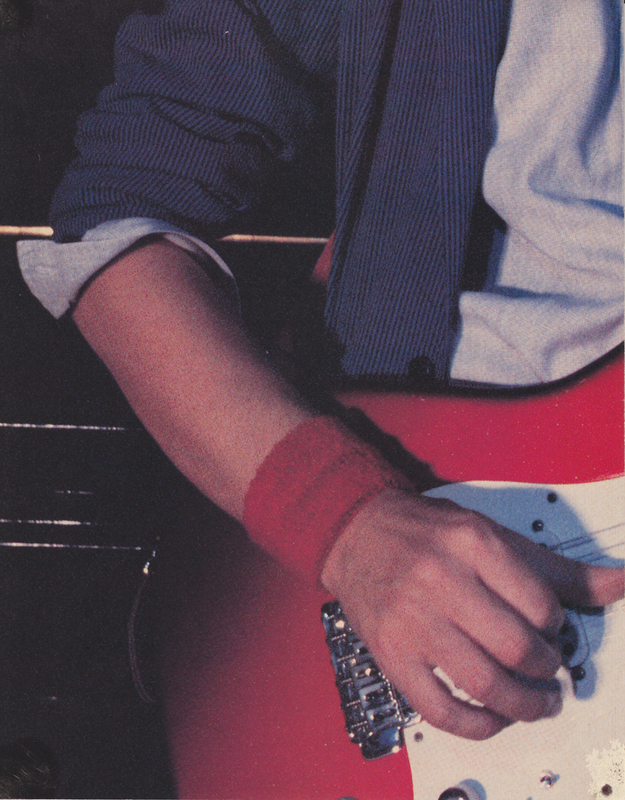 Like why Mark said it was easier to play than the Fender…? My best guess is that it must have something to do with the neck so…Any info about the neck specs ? Mark had some problems with the Fender necks. At the end of a tour his finfers were cut from the strings. I guess the necks were not as straight and even anymore as the highy-quality Schecters. The specs themselves are not very different. The Schecters also have the vol pot at a different location which allows to rest the right hand closer to the bridge. This makes some of his fancy finger picking a bit easier.